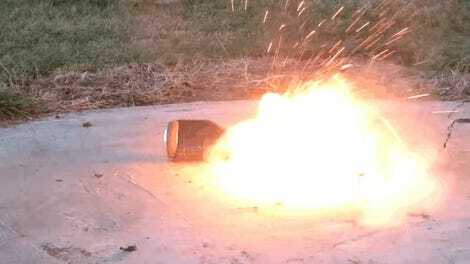 When it comes to hoverboard injuries, it’s tempting to think a good portion of them are severe burns caused by those overheating battery packs. New research shows this is very much not the case, and that each year around 13,500 kids are treated in US hospital emergency rooms after falling from their hoverboards. That amounts to about 40 ER visits each day. The disingenuously named hoverboards, or self-balancing two-wheeled scooters, were all the rage a few years ago, prompting Sean Bandzar, an emergency physician at New York-Presbyterian Hospital, to investigate the rate and nature of injuries caused by the devices. While he was as it, he also decided to compare these figures to injuries caused by conventional skateboards, the results of which were published this week in the science journal Pediatrics. Data for the study was pulled from the CPSC’s National Electronic Injury Surveillance System, which includes data on emergency department visits across the United States. The researchers looked at the years 2015 and 2016, and investigated hoverboard and skateboard injuries among children under the age of 18. Users with hoverboard injuries (light gray) and skateboard injuries (dark gray) showing up at ERs in 2015 and 2016. During the period analyzed, some 26,854 kids were treated for injuries related to hoverboards, and 121,398 for skateboard injuries. Hoverboard injuries peaked between the ages of 11 to 13, and slightly more boys (52 percent) were hurt compared to girls. 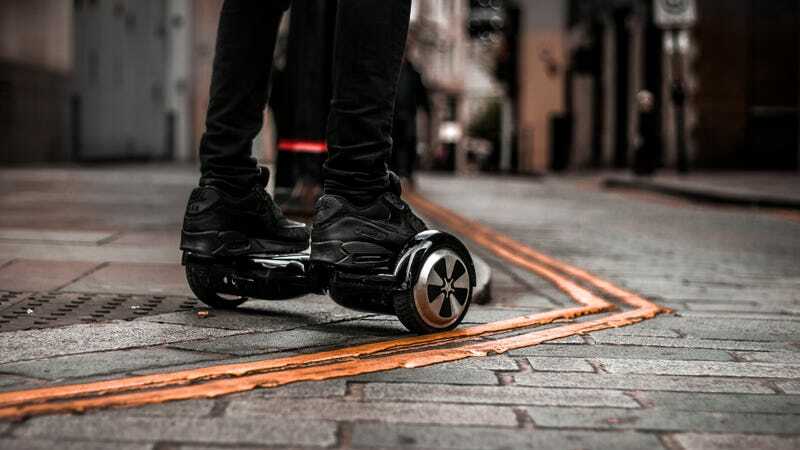 Two-thirds of all hoverboard injuries happened inside the home, whereas most skateboard injuries happened outside on the sidewalk or on the street. Of all the ER visits prompted by hoverboard injuries, only three were the result of burns—and none of them had anything to do with overheating batteries. 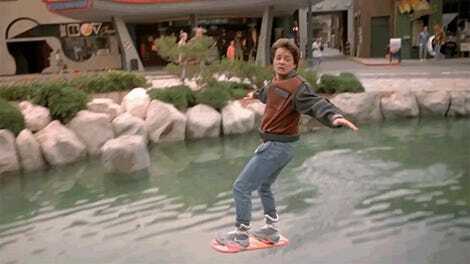 The real culprit, as the new research points out, came from falls off of hoverboards. Among both hoverboarders and skateboarders, wrists were the most common body part injured—the part that tends to take the brunt when we fall back and brace ourselves for impact with the ground. Other injured body parts included the forearm, head, and ankles. The most common diagnosis among both groups were fractures, at 40 percent. Other injuries included bruises and sprains. The types of injuries tended to be similar among both hoverboarders and skateboarders, though the latter group recorded more sprains. Around 95 percent of all kids were discharged from the ER after receiving treatment, while 3 percent had injuries that warranted admittance to the hospital (the remaining 2 percent bailed from the ER before hospital staff had a chance to see them). In terms of limitations, the researchers didn’t investigate how hoverboards or skateboards actually cause injuries, and they didn’t consider the kinds of protective gear that might have been worn by the injured riders, though an earlier (and very small) study suggested hoverboard riders don’t tend to wear protective gear. Finally, the researchers didn’t compare the nature or rates of these injuries to those caused by other recreational activities or sports. The new study was simply a look at the raw statistics on the matter. These results are revealing, but not altogether surprising. It takes time to learn how to ride a hoverboard properly, and formal training isn’t really part of the conversation, at least not yet. Despite these stats, however, hoverboards and skateboards are good in that they get kids moving and active—we don’t want to discourage this behavior. The researchers say their work highlights the importance of wearing protective gear, such as helmets, wrist guards, and protective knee pads, combined with parental supervision. Given that hoverboards are probably already uncool, injuries like these are likely on the decline. Parents, you’ll now have to be on the lookout for the next wacky thing that could hurt your kids. And in the meantime, please steer your hoverboarding offspring away from boiling pots.